In a season when many seek ways to improve their physical and mental well-being, Mark Tully discusses the benefits of yoga in a programme inspired by the life of BKS Iyengar. The guru B.K.S. Iyengar died last year. He was credited by many with being instrumental in introducing the contemporary practice of yoga to Britain. 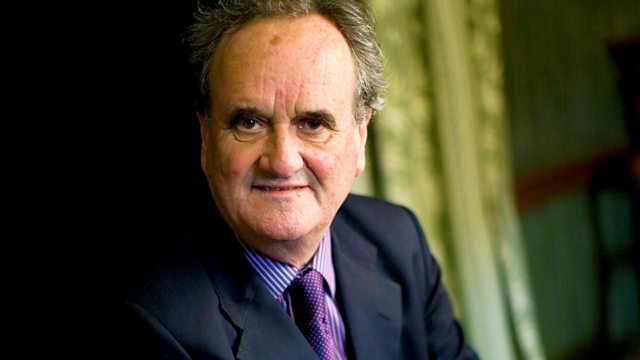 Mark Tully knew him personally and, in a programme inspired by the teacher's life and work, he discusses the possible benefits of yoga and investigates its spiritual roots. He talks to British yoga teacher Gerry Chambers, who trained with Iyengar, about different approaches to yoga in the East and in the West. He also plays archive of Iyengar himself and introduces readings by the poet Rose Flint and the novelist Hanif Kureishi. There's music from yoga enthusiasts as varied as Yehudi Menuhin, Ravi Shankar, the Russian pianist GeNIA and Beethoven. The readers are Lucy Briers and Arsher Ali. Gabriel Prokofiev: Piano Book No. 1. Performer: Yehudi Menuhin. Performer: Ravi Shankar. West Meets East: The Historic Shankar/Menuhin Sessions. Hildegard of Bingen: Choral Music (Voices of Ascension). Beethoven: String Quartet, Op. 127; Piano Sonata, Op. 101.